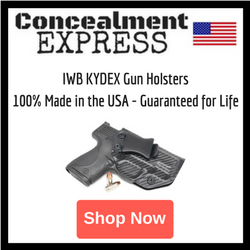 The IWB Tuckable Appendix Carry Gun Holster with Spare Magazine from Active Pro Gear is made of waterproof, high-tech closed-cell foam padding for a comfortable carry and to protect your gun from moisture. The design incorporates a built-in magazine carrier that gives you instant access to one spare magazine, without the need of a separate magazine holder. MULTI-POSITION: The IWB Tuckable Appendix Carry Gun Holster with Spare Magazine carries your gun vertically with no cant or angle, so it is great for appendix carry, strong-side (2 and 3 o’clock) and crossdraw (11 o’clock) carry. 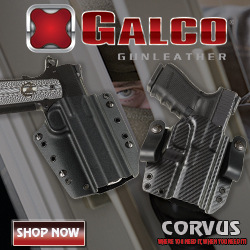 EFFECTIVE DESIGN: Provides a flatter profile for extreme gun concealment without a jacket! CONCEALMENT: Provides great concealment with a full combat grip. IMMEDIATE ACCESS: Allows a quick, smooth draw for immediate access to your gun. COMFORT: The sweat guard provides a very comfortable extended, all-day concealed carry. It prevents your gun from rubbing against your skin and also protects the gun from perspiration. FITS: Made for small to medium frame pistols and double-action revolvers. 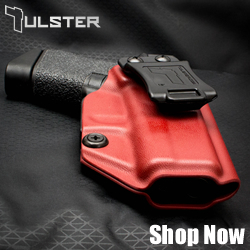 NON-SLIP MATERIAL: Keeps holster securely in place. FINEST MATERIALS: Using the finest bonded nylon thread, all stress points are double stitched or bartacked for extra strength and durability. DRAW: Available for right or left-hand draw. 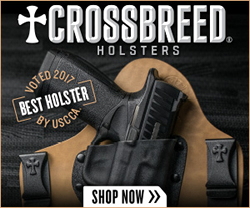 Fits most handguns such as Glock 19, 26, 43, Sig Sauer P365, Beretta, Springfield, M&P Shield, Ruger LC9, Taurus, Kahr, Kimber, Kel Tec, Bersa, Walther, S&W, 380, 40 Auto, 38 special, 45 ACP, 9mm and many more.